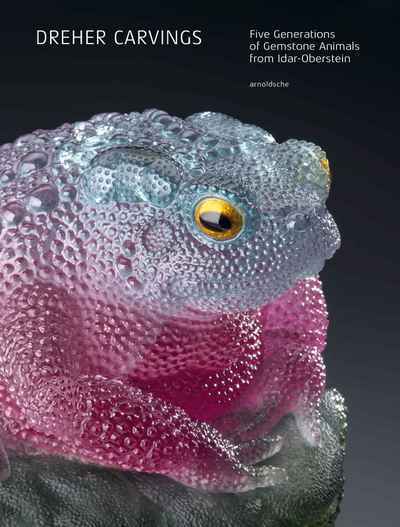 The animals by Gerd and Patrick Dreher are masterpieces in the art of working with gemstone. Produced mostly from a single stone, the bestiary of this engraving family – which is now in its fifth generation – is rich in colourful and true-to-life compositions. The natural colouration of the stones harmonises perfectly with the animals’ anatomy, giving the impression that they have forever been in waiting for release from their raw material. The hours of work that go into each animal can reach 300 or more. The carved gemstones by the Drehers are popular with collectors across the globe – the father and son have a long waiting list. The book provides the ideal opportunity to enter into, or attest to, the fascinating world of these precious items from Idar-Oberstein. All of the 118 unique pieces in the book are featured in large-format illustrations. Alongside the spectacular photographs of objects and details, texts shed a light on the family history, the working process, the particular demands when photographing the pieces and the gemstone city of Idar-Oberstein, the cosmos of fascinating craftsmanship.